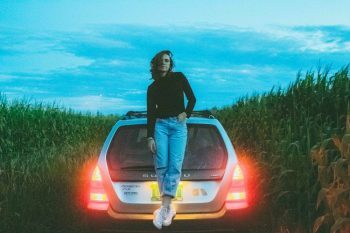 Three music acts with international vibes in their DNA will be playing shows in the area on March 22 and 23 – the Barr Brothers on Friday and Francesca Blanchard and Ranky Tanky on March 23. The Barr Brothers will headline a show at the World Café Live (3025 Walnut Street, Philadelphia, 215-222-1400, www.worldcafelive.com) with La Force opening the show. The Barr Brothers Band had its origin in Providence, Rhode Island where brothers Brad (guitar) and Andrew Barr (drums) began making music together and evolved into a Boston-based band that featured the brothers along with bassist with Marc Friedman. Just under 15 years ago, the Barrs relocated to Montreal, Quebec and have been living in Canada ever since. “My brother met his now wife as a cute waitress in Montreal back in 2003,” said Brad Barr, during a phone interview Wednesday afternoon as the band was driving south to a Canada-USA border crossing. “Our old band The Slip was playing in Montreal. The venue caught fire and he met her on the street. He moved up in 2005 to be with her. We both were living in Boston, so I decided to move to Montreal too. She took over as the band’s manager. 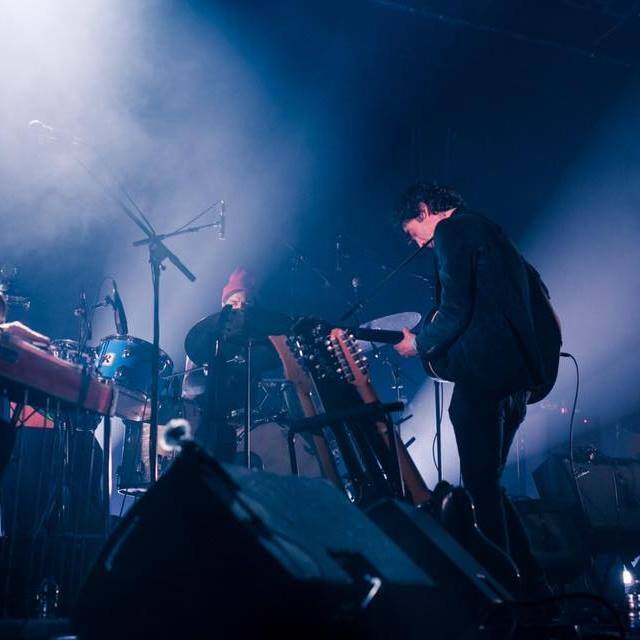 The current line-up of the Barr Brothers features Brett Lanier on pedal steel, Morgan Moore on electric and acoustic bass, Evelyn Gregoire-Rousseau on harp, Andrew on drums and Brad on guitar. The Barr Brothers, who describe their sound as “progressive roots music,” have released three albums – “The Barr Brothers” in 2011, “Sleeping Operator,” which was nominated for a Juno Award in the “Adult Alternative Album of the Year” category, in 2014 and “Queens of the Breakers” in 2017 – and one EP, “Alta Falls” in 2015. “We got our studio running in 2008,” said Barr. “We self-released our first album in 2010. Then, we got a label – Secret City – and re-released it in 2011. “Three albums in over 10 years isn’t a lot. I’m a slow writer. I’m still working on songs that first occurred to me five years ago. I let everything simmer. “We just started working on a new album. After this run of shows, we’ll be able to leave things set up in the studio for a while. We’re thinking about getting the tunes written and then going to a theater to record them. The Barr Brothers have partnered with PLUS1 so that $1 from every ticket sold will go to support George Mark Children’s House which provides life-affirming care and comfort for children and their families. Video link for the Barr Brothers – https://youtu.be/1JU4T9iqNTo. The show at the World Café Live, which has La Force as the opening act, will start at 8 p.m. Tickets are $17. Other upcoming shows at the World Café Live are J.S. Ondara on March 22, Beach Bod and Boosegumps on March 24, Robert Earl Keen on March 24, Meow Meow and Thomas Lauderdale on March 26, William Fitzsimmons on March 26 and The Antlers on March 27. While the Barr Brothers have a Franco-Anglo vibe with their adopted home city, Francesca Blanchard’s Franco-Anglo connection is more direct. She was born in France and lived there the first decade of her life. Just under three years ago, Blanchard made her Philadelphia debut with a show at the Fire. On March 23, she returns to Philly for a show at Bourbon and Branch (705 North Second Street, Philadelphia, 215-238-0660, bourbonandbranchphilly.com). The French-American singer-songwriter has been compared to Norah Jones and Eva Cassidy as well as French singers Françoise Hardy and Carla Bruni. Blanchard was born and raised in the south of France, traveled the globe with her family and settled in the Vermont countryside when she was 10 years old. Blanchard’s first full-length release, “deux visions,” was produced by Chris Velan (Sierra Leone’s Refugee All Stars), mixed by acclaimed Montreal producer Jean Massicotte (Lhasa, Patrick Watson) and mastered at the prestigious Metropolis Studios in London. The album was featured on numerous “Best of 2015” lists. After a wait of several years, Blanchard is ready to release her sophomore album. “I’ve been listening and relearning what I want to express with my music,” said Blanchard, during a phone interview Tuesday afternoon from her home in Burlington, Vermont. “I took an Outward-Bound course in 2017. I was hiking and backpacking in a variety of places – Joshua Tree, Colorado, Ecuador, Utah. Coming back, I had a new wave of inspiration. “A lot of my new songs are thematically similar to my first album. They are songs about heartbreak, but they’ve grown as I’ve grown. “I’ve also switched genres. ‘deux visions’ was very English-French folk. I’ve let go with focus on language and music style and have been focusing on self-effacing lyrical fun – taking the pressure off the Anglo-French aspect. They are still heartbreaking songs but they have a twist of humor. Blanchard’s songs always come from her true self. Her intimate original songs, performed in French and English, reflect on her life journeys, both physical and emotional. Born in the south of France where her family resided until she was ten, Blanchard also lived and went to school in Addis Ababa, Ethiopia and Bujumbura, Burundi. Family journeys have taken her to countries such as South Korea, Mauritania, Rwanda, Kenya, Egypt, Thailand, Australia, Honduras, Tanzania, Guatemala and India. She has grown up in a household consisting of a French father, an American mother, and adopted siblings from Ethiopia and Guatemala. “My freshman year in high school was in Bujumbura,” said Blanchard. “Burundi was very challenging in many ways. Most of my school days were in Vermont. My music career started four years ago with theater. I graduated from Boston University with a BFA in Theatre Arts. Blanchard’s new album is done and should see the light of day soon. “I’m playing primarily new songs in my shows now,” said Blanchard. “Playing new songs is a concern. It’s been four years since my last album. The new album is a musical rebirth of sorts.” Video link for Francesca Blanchard – https://youtu.be/2HP6AZIukDg. The show at Bourbon and Branch, which also features The Lunar Year and Rosa Lup, will start at 8 p.m. Tickets are $8. Other upcoming shows at the venue are Them Fangs and Birthday Boy on March 24 and Kat & The Hooligans, Liz Fulmer and Keely Sibilia on March 27. On March 23, the Bryn Mawr College Performing Arts Series will present Charleston-based quintet Ranky Tanky in the McPherson Auditorium, Goodhart Hall (150 North Merion Avenue, Bryn Mawr, brynmawr.edu/arts/series.html). 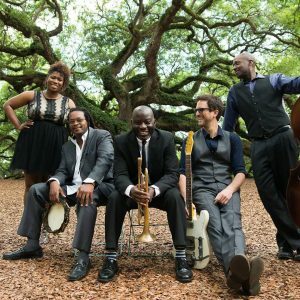 In this spirit, the South Carolina quintet performs timeless music of Gullah culture born in the southeastern Sea Island region of the United States. From playful game songs to ecstatic shouts, from heartbreaking spirituals to delicate lullabies, the musical roots of Charleston are “rank” and fertile ground from which these contemporary artists are grateful to have grown. 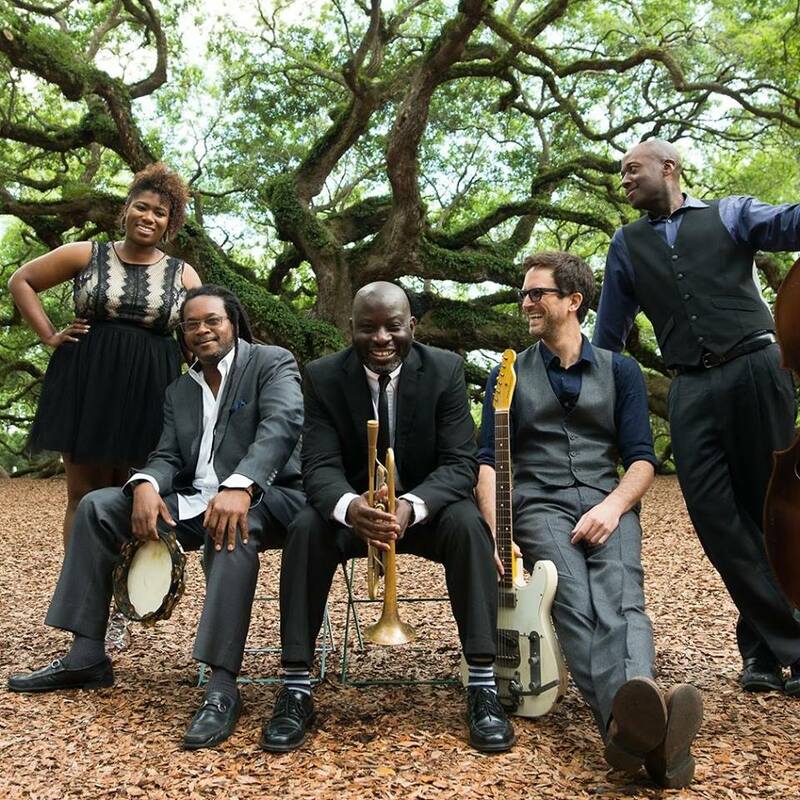 Ranky Tanky – Quiana Parler, Voice; Kevin Hamilton, Bass; Clay Ross, Guitar; Charlton Singleton, Trumpet; Quentin Baxter, Drums — released its eponymous debut album in October 2017. “Officially, we formed in May 2016,” said Ross, during a phone interview Tuesday afternoon. “We’re old friends. We’ve known each other for 20-plus years. We met when we were studying music at the University of Charleston. We’ve played together a lot over the years in different projects. 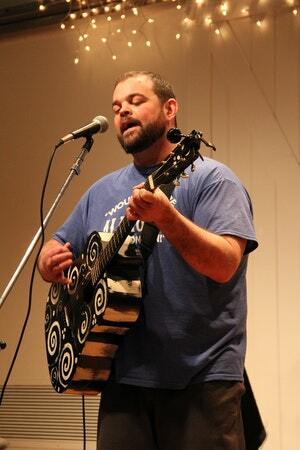 “I saw an opportunity to form a regional musical roots band for this area. Several musicians in this band are from the Gullah culture. I saw a need for it, and everybody was ready to do it. Gullah heritage was born of the West African transatlantic slave trade and its traditions are still rich in the Caribbean, throughout the coastal South, and especially in the islands of South Carolina. Influences are felt in the art, dance, food, spirituality and storytelling culture of the region. Gullah traditions have seeped into American popular culture, from “Br’er Rabbit” to children’s hand games to “Kumbayah” (Gullah for “come by here”). “A lot of musicologists had worked on tracing Gullah music – for example, Alan Lomax,” said Ross. “They had discussions where the music came from and how it is alive today. Ranky Tanky will soon put out its sophomore album. “We just released the first song from our new album – a song called ‘Freedom,’” said Ross. “Our upcoming album is called ‘Good Time.’ It will be released on September 6 by Resilient Music Alliance. Video link for Ranky Tanky — https://youtu.be/EiUDFfkF6vo. Ranky Tanky will perform on March 23 at 8 p.m. at Bryn Mawr College’s Goodhart Hall in McPherson Auditorium. Tickets are $20 — $18 for seniors, $10 for students, and $5 for children under 12. Kennett Flash (102 Sycamore Alley, Kennett Square, 484-732-8295, http://www.kennettflash.org) is hosting Dave Mattock and Tap Room on March 22, Outside the WALL – The Ultimate Pink Floyd Experience on March 23, Open Mic with guest host Michael Hahn on March 24, and “Jimmy Vivino & Bob Margolin — Just 2 Guitars and 200 Stories” on March 27. The Colonial Theatre (Bridge Street, Phoenixville, 610- 917-1228, www.thecolonialtheatre.com) will present Delbert McClinton on March 22 and Two Funny Philly Guys on March 23. 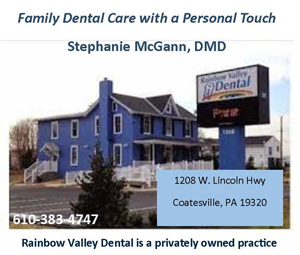 Chaplin’s (66 North Main Street, Spring City, 610-792-4110, http://chaplinslive.com) has Brand New Crescent Moon, The Cozy, and Savvy Cats on March 23. The Ardmore Music Hall (23 East Lancaster Avenue, Ardmore, 610-649-8389, www.ardmoremusic.com) will present “Grunga-A-Palooza!” on March 21, Samantha Fish with special guest Jonathon Long on March 22, Matador! Soul Sounds on March 23 and Melvin Seals on March 26. The Keswick Theater (291 N. Keswick Avenue, Glenside, 215-572-7650, www.keswicktheatre.com) is hosting The Musical Box premieres A Genesis Extravaganza on March 23. The Sellersville Theater (24 West Temple Avenue, Sellersville, 215-257-5808, www.st94.com) has a line-up featuring Reckless Kelly with Greg Farley on March 21, Runa on March 22, Paula Poundstone on March 23, Four Bitchin’ Babes St. Deirdre Flint, Sally Fingerett, Debi Smith & Christine Lavin on March 24, Jake E. Lee’s Red Dragon Cartel with Rob Balducci on March 25, Peter Himmelman with Skip Denenberg on March 26, and Coco Montoya & Tinsley Ellis on March 27. The Locks at Sona (4417 Main Street, Manayunk, 484- 273-0481, sonapub.com) presents Amy LaVere and Pete Donnelly on March 21, An Evening with Lloyd Cole on March 22, Richard Shindell with special guest Dina Hall on March 23, Selwyn Birchwood with special guest Eryn on March 24, and Lula Wiles with special guest Nina DeVitry on March 27.